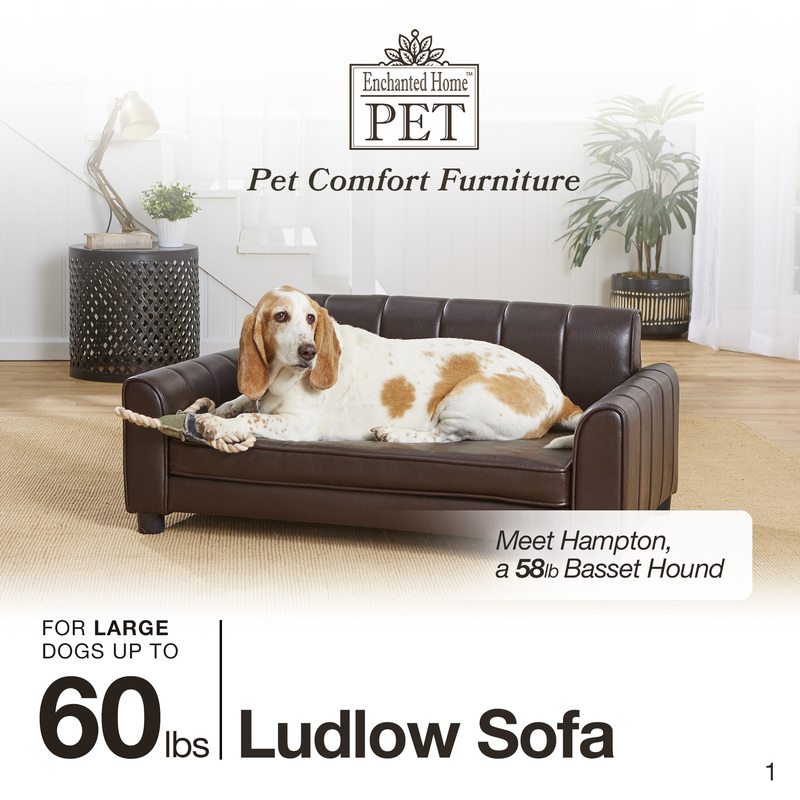 Hampton, a 58 pound Basset Hound looks settled in on this handsome new Ludlow Sofa. 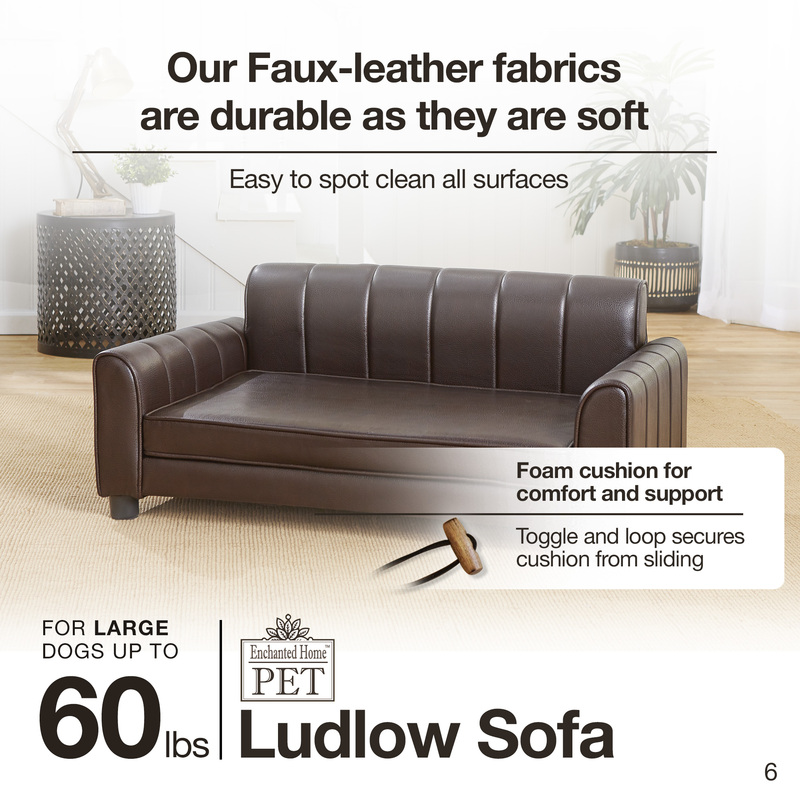 The high quality, pebble-grain faux-leather is easy to wipe clean. 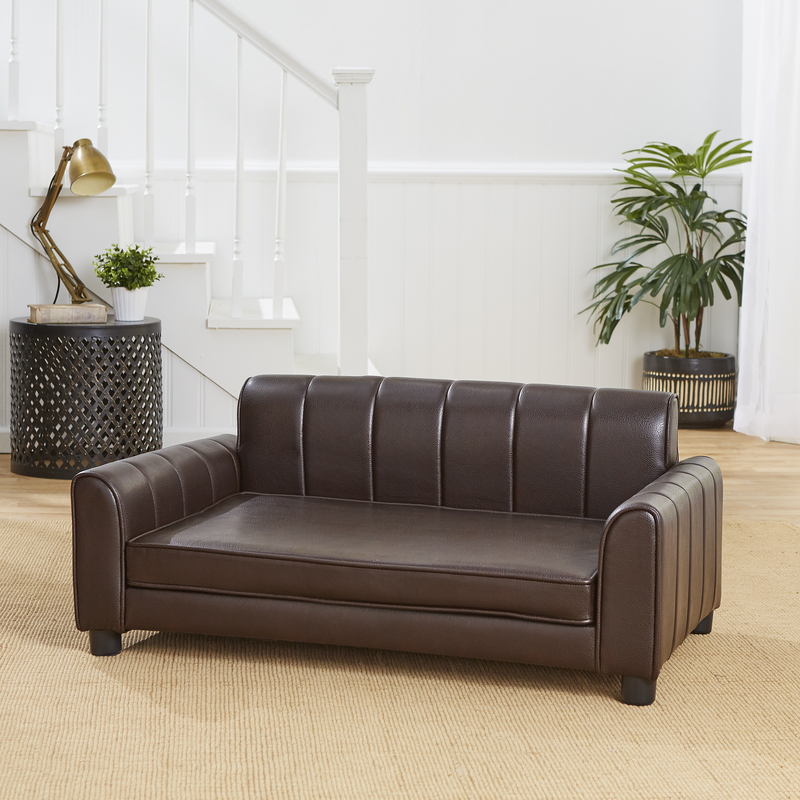 Its channel tufted style with generous, wide, cushioned arms offers a place for him to lean or curl up comfortably. Constructed with durable, furniture grade construction. The Ludlow is perfect for pets up to 60 pounds. 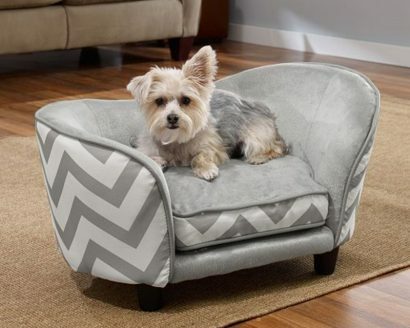 Meet Kimmi, a 6 pound Morkie who loves the velvety-plush cushion on this chevron patterned version of our classic Snuggle style. It is perfect for the little pet who likes to curl up to sleep. It is upholstered with a full loft cushion for pure comfort. Meet Pax, a 20 pound Schnauzer and Elliot, a 20 pound Lab Mix. 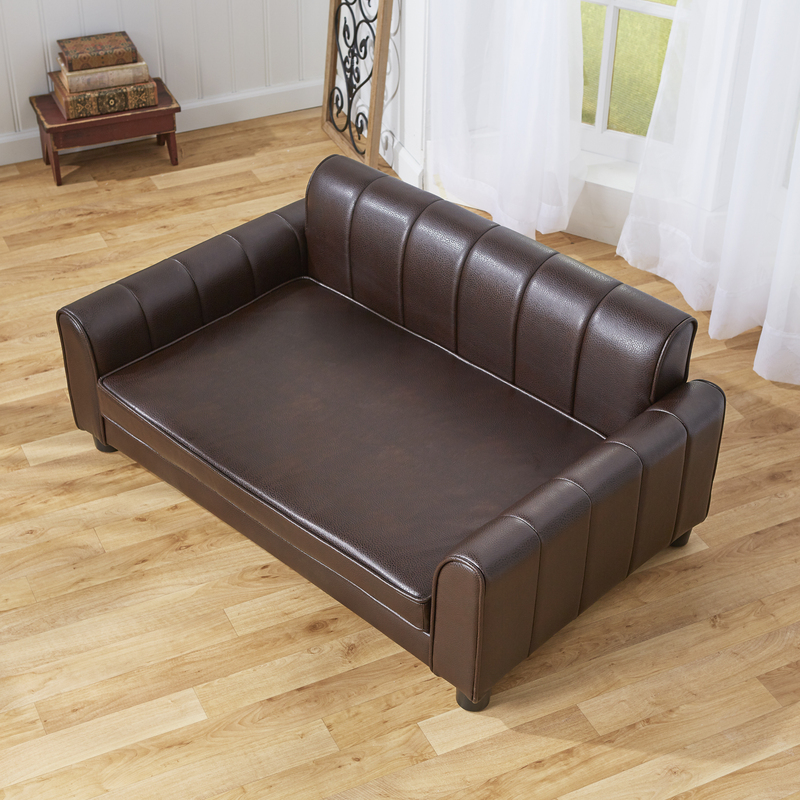 They are in their element of comfort on this classic sofa designed with durable faux-leather in a pebble grain finish. 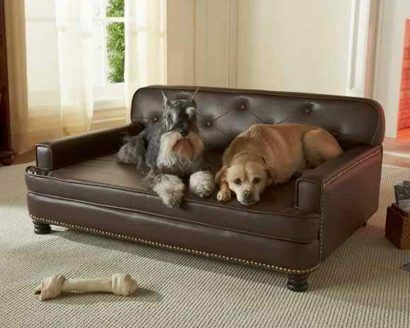 The nailhead accent and turned wood legs complete this traditional and elegant look. 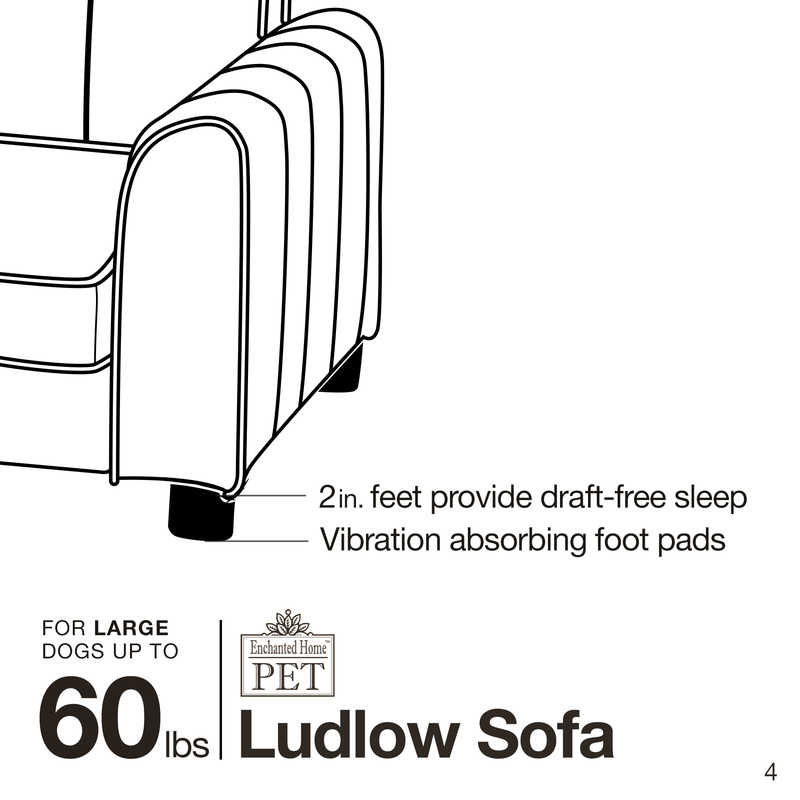 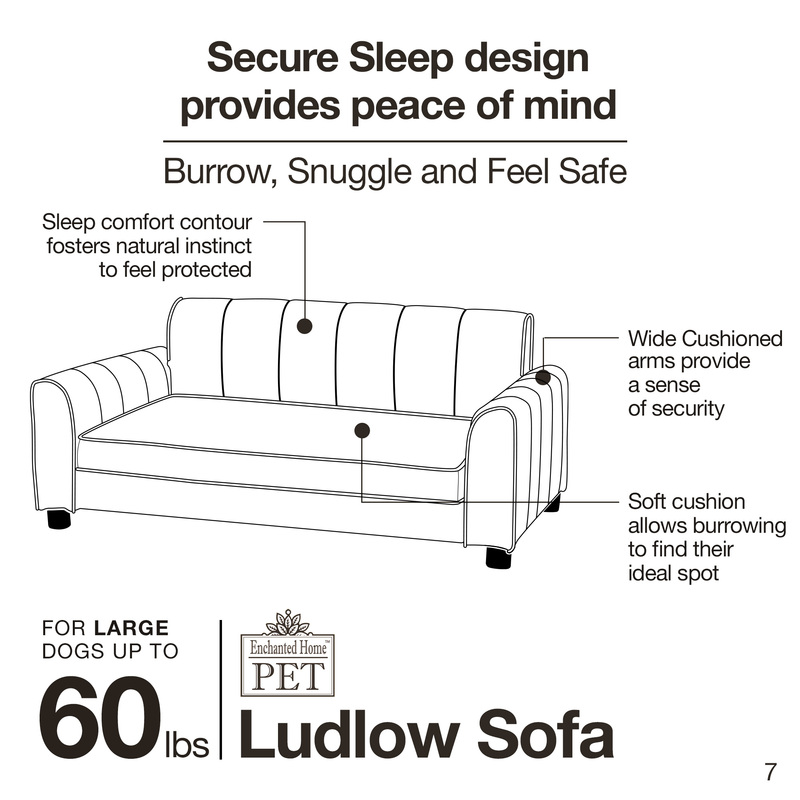 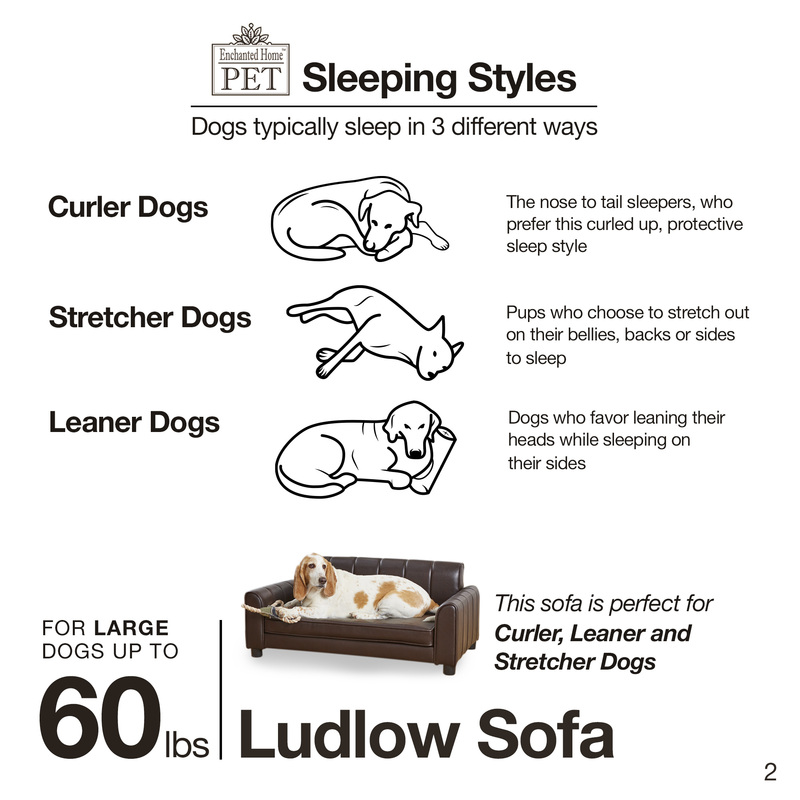 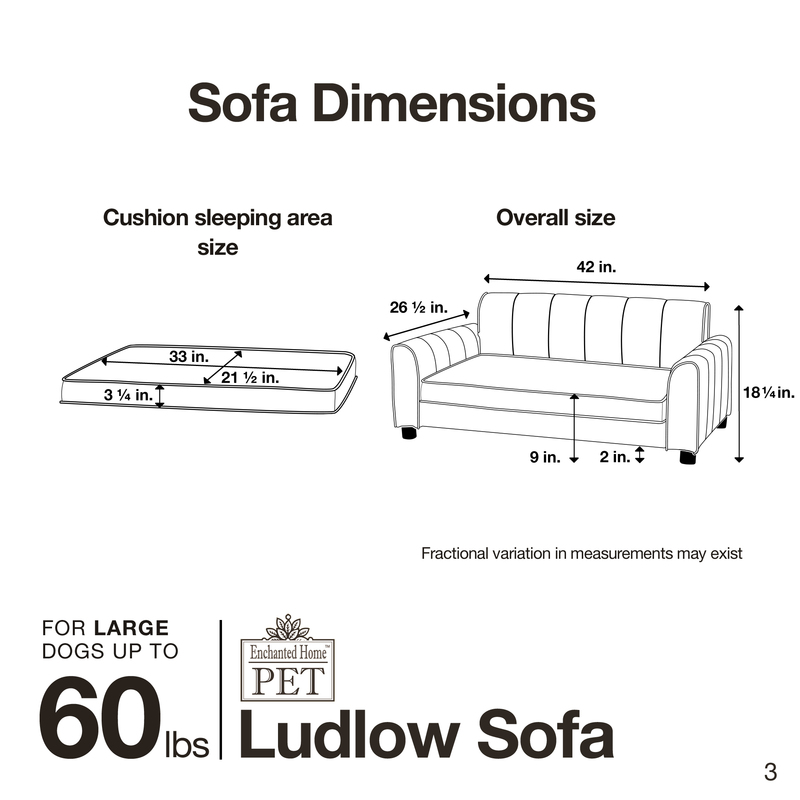 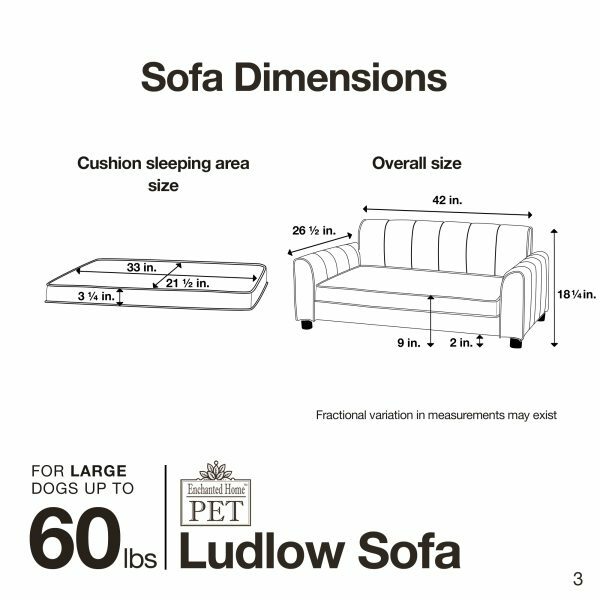 Perfect for larger pets who like to sleep curled up or leaning. 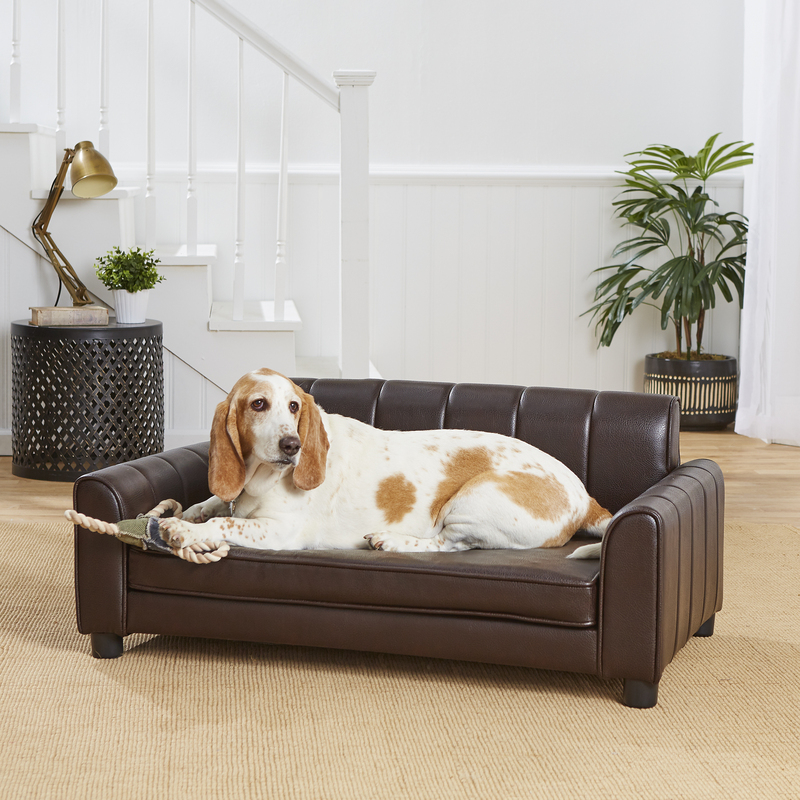 Louie, a striking 68 pound Mixed breed is seen here resting in style on the elegant Maxwell Sofa. This high quality, pebble grain, faux-leather sofa is fully upholstered and features a soft, velvet-like patterned seat cushion. 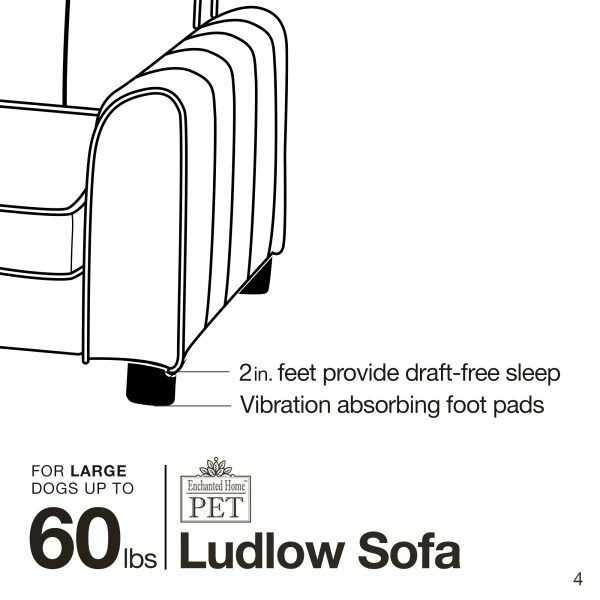 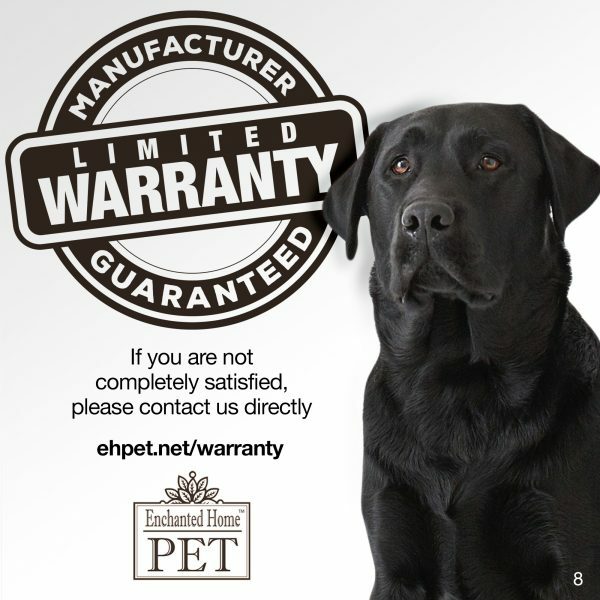 Its classic style rolled, low profile arm is well suited for pets who like to lean while sleeping. 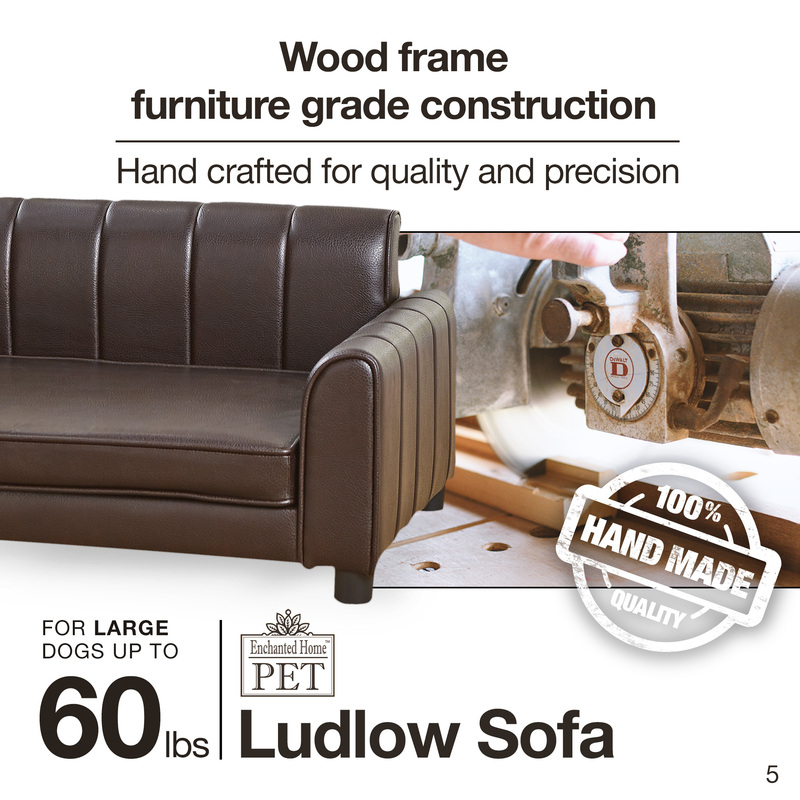 Crafted with durable furniture-grade construction.